If you’d like a career in international affairs, diplomatic practice and global politics, this course is for you. It offers unique opportunities for work-based learning and study visits overseas. If you would like a career in international affairs, diplomatic practice and global politics, this course is for you. Offering unique opportunities for work-based learning overseas, International Relations and Diplomacy is a stimulating, topical and challenging subject. Broaden your skills and knowledge by combining International Relations and Diplomacy with another subject, opening up an even wider range of career paths. Offering fascinating perspectives on current affairs and international events as they affect people around the world, this course will help you to become a better-informed global citizen. You will study key international relations themes such as advocacy, democracy, human rights, social policy and international security in the context of global conflict, peace and international law. At the same time, you will develop valuable vocational and transferable skills which will equip you to work with international organisations in a wide variety of settings. This course reflects the growing need to resolve intra-national and international conflicts through diplomacy rather than the use of military force. It will give you a strong knowledge and understanding of the varied diplomatic exchanges that take place between governments and inter-government institutions. You will be well prepared to work in the general field of international politics and will gain the key skills needed for a successful career within diplomatic communities. There is the opportunity to visit the Foreign Office and embassies to see how they work with diplomats, ambassadors and other government representatives around the world. You will also draw inspiration from our vibrant programme of guest speakers and specialist seminars. As a core element of the course, you will undertake a week-long fieldtrip to Geneva, visiting the United Nations Office and the United Nations Institute for Training and Research (UNITAR). You will benefit from lectures and tutorials led by government representatives, UN officials and professionals who work in the field of international relations and diplomacy. There are opportunities for internships too. These experiences are designed to link the practice of international relations with your theoretical knowledge of the subject They will foster your understanding of the environment in which political decisions are made, especially in the context of an international or supra-state inter-governmental institution. Our experienced and enthusiastic team are passionate about International Relations and Diplomacy and keen to share their knowledge with you. They will encourage you to do your best throughout your studies as part of a student-centred and varied learning experience. We employ several approaches to teaching and learning, including formal lectures, student-led seminars, workshops and tutorials. We encourage active student participation and foster a relaxed, inclusive environment where students learn both with one another and from each other. You will be inspired and motivated by our research-active team whose specialist areas span issues such as diplomatic practice, international security, arbitration, international dispute resolution, post-9/11 America and the ‘War on Terror’, international institutions, human rights and public international law. We will foster your awareness of key issues such as power, justice, order, conflict, legitimacy, accountability, obligation, sovereignty, mediation, security, governance and other themes relating to inter-governmental relations and decision-making processes within the international system. You will also learn about concepts such as anarchy, statism, security-dilemma, self-help, nationalism, institutionalism, regimes, realism, neo-realism, liberalism, globalisation, peace-building, conflict resolution and arbitration. Each of these concepts can help you understand, analyse and interpret political developments. International Relations and Diplomacy and Geography. You can study International Relations and Diplomacy as either a joint, major or minor subject. This will determine how many modules you’ll study at each stage. Please check your other subject to ensure it is possible to create your chosen combination. The emphasis throughout the programme is upon interdisciplinary work that encourages you to see the connections between International Relations, Politics and other disciplines. We draw upon Politics, Law, History, Sociology, Geography and American Studies to provide an expansive and stimulating range of ideas for your analysis of International Relations and Diplomacy. Equipped with analytical and critical skills, you will gain an in-depth knowledge of key political ideas; the machinery of government; diplomatic practices; and right, left, radical and moderate political ideologies and theories as they shape the complex relations between states within the international system. You will learn and practise technical skills, honing your abilities in research, writing reports, debating and facilitating discussions around issues of national and international political significance. This will be achieved through lectures, seminars, individual and group presentations, workshops, screenings and guest lectures. Study visits to embassies, the British Foreign Office, the United Nations and the United Nations Institute for Training and Research (UNITAR) in Geneva, will be an important part of your learning experience. Assessment in all the modules, except one, is based 100% on coursework, incorporating different tasks and modes such as essays of varied length, scale and scope; document analyses; book, film and music reviews; project and dissertation work; individual and group oral presentations; poster exhibitions; portfolio compilation; and seminar presentation and participation. We pride ourselves on being approachable and supportive. You will have a personal tutor to help and advise you throughout your degree, providing an exceptional level of support. Workshops on issues such as writing and study skills, preparatory sessions for project-based study, and employability events will also assist your progress. A highly qualified and experienced team of lecturers teach International Relations and Diplomacy at Derby. They are committed to the subject as an interdisciplinary exploration of International Relations in its broadest sense within the Political Science subject arena, but all have individual areas of expertise, publications and research interests. 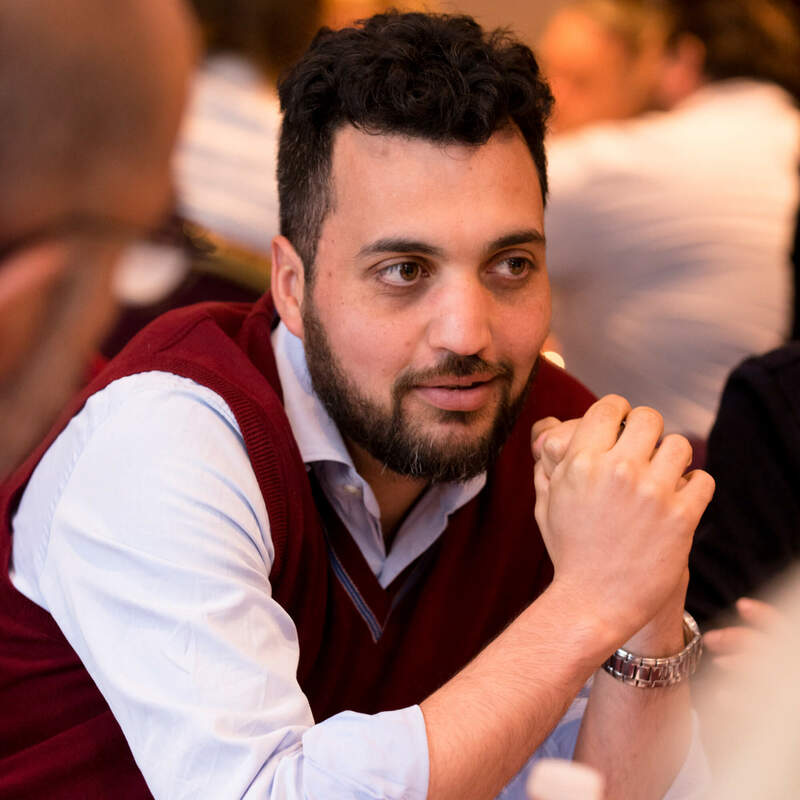 Dr Francesco Belcastro, the Subject Leader for International Relations with wide-ranging research interests in the fields of international relations and Middle East studies. He is particularly interested in the application of traditional international relations theories and concepts at regional level and his current studies focus on regional involvement in civil wars both at theoretical level and with reference to Syria. Dr Belcastro is also a Fellow of the Centre for Syrian Studies at the University of St Andrews. Dr Franc Jegede, Senior Lectuer in International Relations and Diplomacy. His research interests include International Security, Terrorism, International Development and International Institutions. Francis has a well-established links with a number of international organisations and has published chapters in books and journal articles relating to his areas of research. He has also undertaken consultancy services for a number of international organisations including the United States Agency for International Development (USAID) and European Union (EU). He is co-author of ‘Population, Resources and Development’ book published by Collins Educational (2000). Anna Doswell - Anna is an Associate Lecturer in International Relations & Diplomacy. She currently teaches International Security and Global Watch: International Event and the media modules both at level six. She also has responsibility for the supervision of a number of students for their dissertation and personal tutorship. Dr Sung-Hee Lee - Sung-Hee is a lecturer in Sociology with interest in the characteristics of care provision systems implemented in different policy regimes across East Asia and some European countries. Her research covers underlying policy shifts towards the socialising of care responsibilities for older and disabled groups, who need long term care. She is the author of a number of publications including: “A Study on the Curricula of Social Welfare in the UK Universities and their Content Analysis” (2013), “The current coordinates of the Korean care regime”, “Comparison of Divergent Response in Welfare State Restructuring focused on Childcare Policy” and ”The Curricula of Social Welfare in UK Universities and the Implications for Korean Social Welfare Education”. Joel Klaff - Joel teaches across LL.B, LLM and supervises PhD research students. His teaching and research interest includes, Contractual Obligations, Commercial Law, International Trade, International Business and Commercial Theory. Joel is keenly interested in sustainability, which includes the sustainability of international political relations and international environmental laws. Joel examines the issue of sustainability using established legal and political philosophy such as Amartya Sen’s capability theory and John Rawls’s theory of justice as Fairness. Rachael Ita - Rachael joined the University of Derby in 2011. Prior to that, Rachael practised as a Barrister and Solicitor in Nigeria. Rachael’s current research is in Human Rights Law. Her particular focus is on the Margin of Appreciation Doctrine and the living character of the European Convention on Human Rights. Rachel teaches modules on Public International Law, International Human Rights Law and Administrative Law. Alasdair Kean - Alasdair is a Principal Lecturer in American Studies. His areas of research include 19th Century Social History, US popular culture abroad and American music. Alasdair is co-author of American Cultural Studies (1997). Chris Poole - Before joining Derby, Chris was Coventry University’s Head of Department of Legal Studies. He has lectured in Germany, the Czech Republic, Israel and Malaysia. His teaching areas include information Law, intellectual property law and Electronic Commercial Law. Chris has a very keen research interest in intellectual property law (copyright, trademarks, patents, confidential information), information technology law (relating to computers, the internet and technology) and contract law. Professor Robert Hudson - Robert is a professor of History. He specialises in the history of Russia and Eastern Europe, but is also interested in twentieth-century French history. Dr David Holloway - Senior Lecturer. His research interests include 19th and 20th Century American literature and film, narratives of apocalypse in American culture, and the “War on Terror”. He has published a number of articles on the novelist Cormac McCarthy and has written a chapter on the literature of youth in Radiant Hour (2000). His book on Cormac McCarthy was published in 2002 and 9/11 and the War on Terror was published in 2008. He is also the co-editor of American Visual Cultures (2005). Dr Thomas Neuhaus - Tom is a Senior Lecturer in History. He teaches international history, focusing on relations between Europe and Asia in the nineteenth and twentieth centuries. He has published a book on Tibet in the Western imagination. As an International Relations and Diplomacy graduate, you could pursue a career working for government embassies, international institutions and agencies, international development organisations, public and voluntary bodies or transnational corporations. You could also work in many other fields, including teaching, political analysis, media, law, the civil service, and the uniformed services. Your degree will help set you apart as an independent and confident individual who can view the world from different perspectives. Your experience of work-based learning - through study visits and internship opportunities with international organisations such as the UN and UNITAR - will signal to any prospective employer that you are adept at linking international relations and diplomacy theories to practice. As the business world becomes increasingly global, your knowledge of international politics, together with your understanding of the complex relations between governments around the world, will help you to secure a rewarding career. Our Careers and Employment Service will provide you with support from day one of your course to ensure that you leave Derby as a ‘work-ready’ graduate - industry aware, motivated and enterprising. Throughout your studies, you will also benefit from our Personal Development Planning (PDP) scheme which enables you to reflect on your learning and develop your career ambitions. The support continues once you’ve completed your course too: you are entitled to further help and guidance from the Careers and Employment Service for up to three years after leaving the University.